Lovejoy | Ohio Belting & Transmission Co.
As a distributor for Lovejoy, we make it easy for you to purchase the couplings you need. Want to order a coupling you can't find? Applications include power transmission to industrial equipment such as pumps, gear boxes, compressors, blowers, mixers, and conveyors. 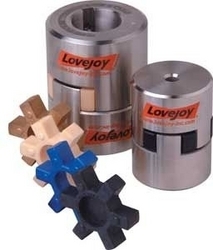 Lovejoy jaw type couplings are available in 24 sizes from a minimum torque rating of 3.5 in. lbs. to a maximum torque rating of 170,004 in. lbs. and a bore range of .125 inches to 7 inches. Lovejoy’s standard bore program covers AGMA, SAE, and DIN bore / keyway and spline bore combinations. 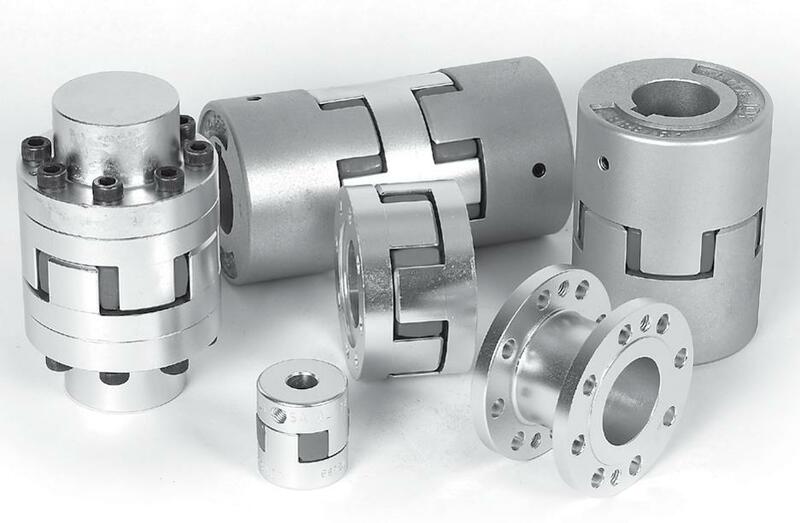 The Lovejoy jaw type coupling is available in a variety of metal hub and insert materials. Hubs are offered in sintered metal, aluminum, bronze, steel, stainless steel and ductile iron.